Kristina Kaluza is a member in the Business Litigation Group in the Minneapolis office of Dykema. Ms. Kaluza has represented companies and individuals in state and federal courts and focuses her practice on general commercial litigation, employment law, and financial services litigation. Ms. Kaluza also dedicates a significant portion of her time to pro bono efforts. Ms. Kaluza’s commercial and business litigation experience includes contract claims, fraud claims, negligence claims, and products-liability claims. In the area of financial services, Ms. Kaluza represents lenders and mortgage servicers in a broad range of disputes arising under state and federal law, including contested foreclosures, FDCPA, and FCRA disputes. 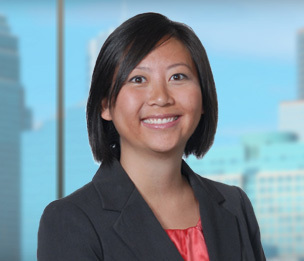 Prior to joining Dykema, Ms. Kaluza was an associate at McDermott Will & Emery in Chicago. While in law school, she served as a judicial intern for the Nineteenth Judicial Circuit Court of Lake County, Illinois. Before law school, she was a litigation paralegal at Covington and Burling in Washington, D.C.